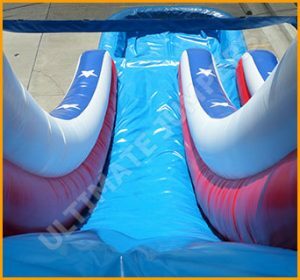 This patriotic water slide is an ideal way to show off your American pride while cooling off all summer long, perfect for kids and adults of all ages. 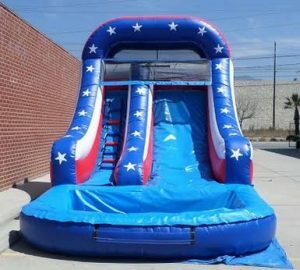 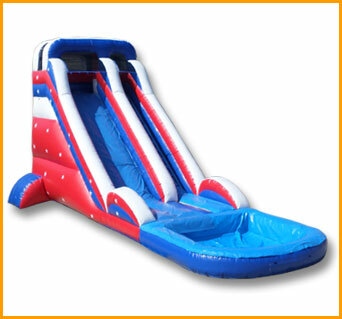 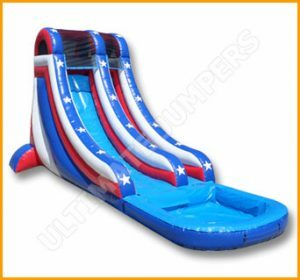 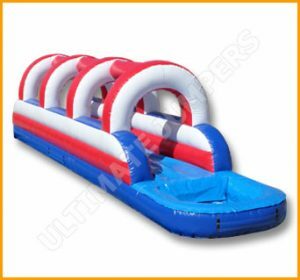 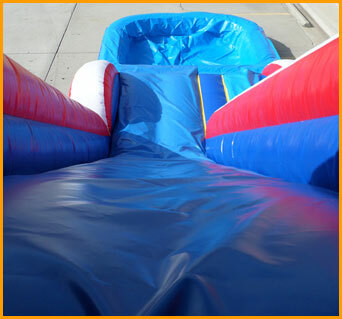 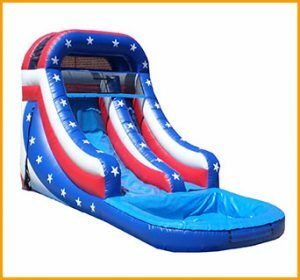 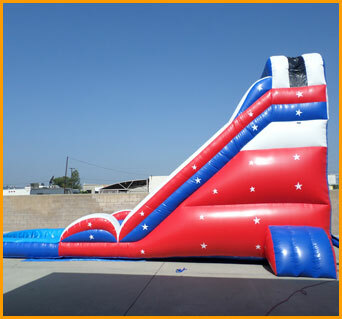 This patriotic water slide is an ideal way to show off your American pride while cooling off on Independence Day. 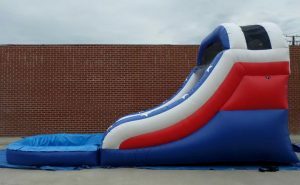 The stars bring out the patriotism while the water keeps the kids and adults cool all summer long. 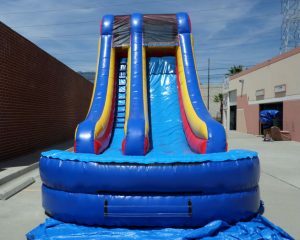 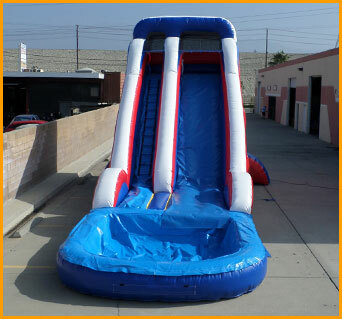 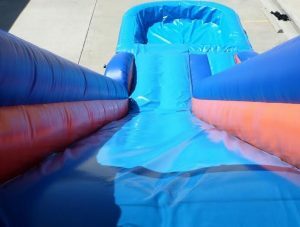 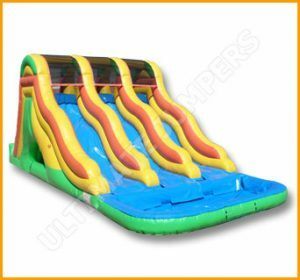 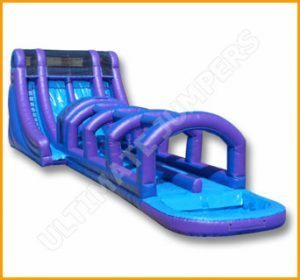 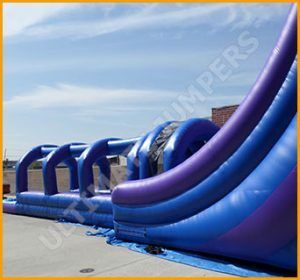 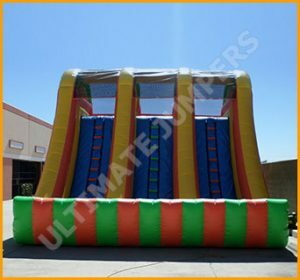 This water slide, like all the water slides manufactured by Ultimate Jumpers, was made with safety as a top priority. 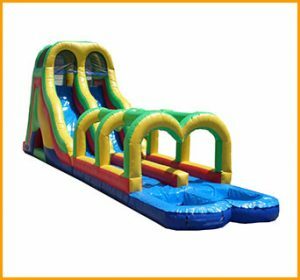 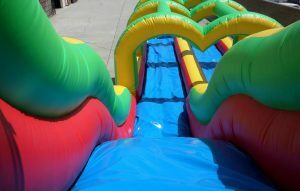 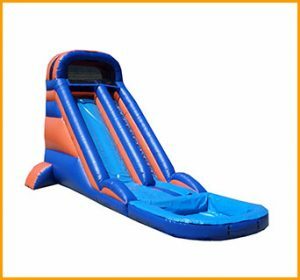 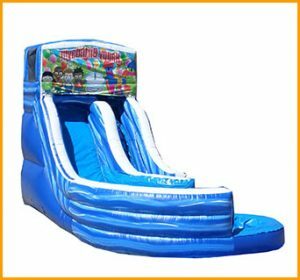 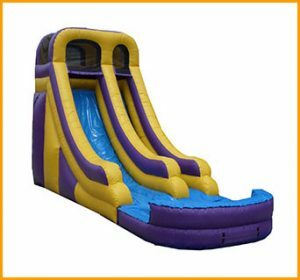 Dip into your budget and splurge a bit because you know you’ll be giving the kids one heck of a great time with a water slide. 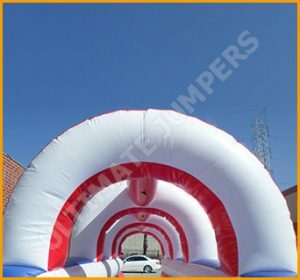 No event is complete without an inflatable, and no party is a success without it. 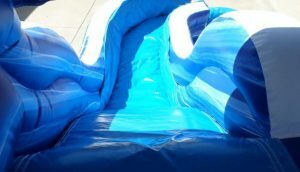 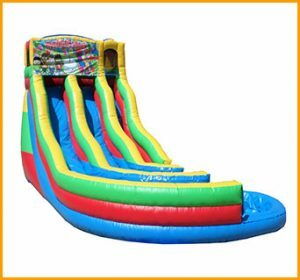 With that being said, kids always enjoy attending events where there will be inflatables set up, especially if the summer heat has kicked in and the inflatable happens to be a water slide. 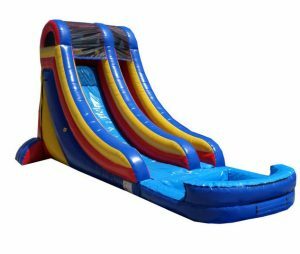 It doesn’t matter if the party is at someone’s backyard, at the school, at church, or at the park – the fun will surround the area and the giggles will be heard miles away. 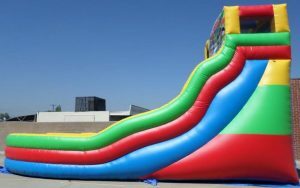 The good energy kicks in and kids have a blast for hours while getting a workout and giving adults a chance to sit back and relax. 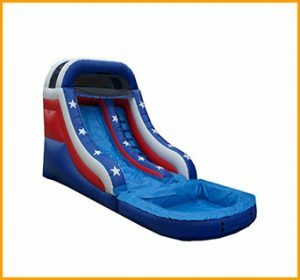 Kids are our future and we need to make sure they have a childhood filled with wild play, endless fun, bright dreams, and ongoing laughter.